Pokédex 3D is out now — and free! — but like all good Pokémon games it requires you to build up your collection rather than handing out all 150 monsters to you. One of the ways you can add more to your stack is to scan an AR/QR code, a compilation of which you can find on this very page. The 60 codes in this image were sent in by Nintendo Life Twitter follower Rhysuzaki, and for that we're very grateful. If you have a code you want to share, let us know and we'll spread the word around. Don't forget we'll also be bringing you live coverage of everything that happens at Nintendo's E3 conference today, so be sure to follow us on Twitter or keep it locked here to Nintendo Life for the best gaming day of the year. I like the 3D dex. It's quite cool. And free! 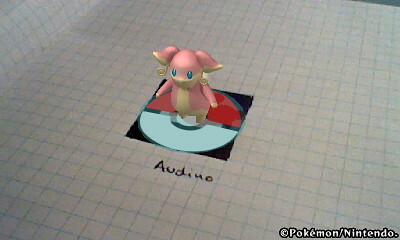 The AR codes also work if they are hand drawn. 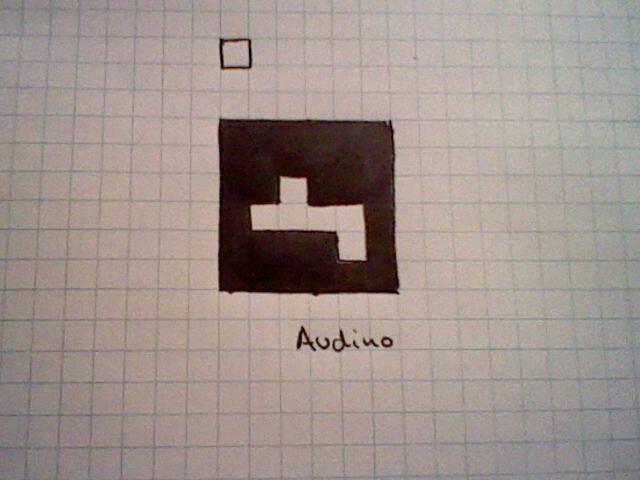 On a 6x6 grid, you can replicate them. Sweet! Too bad a lot of them come out as "Unknown", though. Thanks for all the stickers! Is there an easy way to print these things? Apparently all scanning the AR cards when you haven't obtained the pokemon yet does is increase the likelyhood that you'll randomly get it. You only get a set number of pokemon per day automatically via spotpass but you can also "trade" your entire pokedex collection with a friend. Thanks for the link, Skywake. 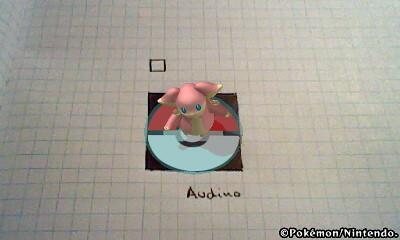 Pokedex really is pretty darn cool. I was surprised at how good the 3D and the Pokemon in general look. 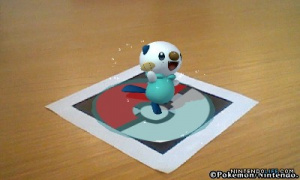 Cool, hey how do you put Pokemon on AR cards. im in the pokedex how exactly do i scan these codes? How do you scan the QR codes? Awesome got a few, other are blacked out. Thanks. Cool. I never understood the appeal of pokemon, but this is a pretty neat system. Maybe I'm too old. So what, once you collect them you can fight them then? That'd be cool, otherwise I don't care to just have them. it's neat to be able to find them all around, though. they all work. you can only unlock 3 a day excluding legendarys. Just walking around with the 3DS will get you at least one a day. i prefer getting one daily then 3. Makes it last longer, and its always nice to see what new mon you get. by the way, has anyone noticed that by pressing the a button, the pokemon do an action? Like the water starters( i nikcname my pokemon so i sometimes forget what the species name is lol) final evo will pull out a sword, flourish it, and put it back. Pretty cool. I'll buy it when the price of the 3DS drops. I really love it!! x3 Zekrom is in my hand now! A friend of mine made a program in gamemaker that shows every possible combination in the QR-codes. there are over 65k combinations possible, so a lot of them won't work, but you're guaranteed to get every one in existence now, and those added in the future. for the settings, i used 100ms on either random or count up. i have a 3dsxl and im in usa ct can i download pokedex 3d for free still?